Batgirl is the name of several DC Comics female heros--the counterpart to Batman. With your black cool catsuit incorporating the iconic bat symbol, matching cape, and spiked gauntlets and the artistic contrast of the gold utility belt, you could become the focus around people. 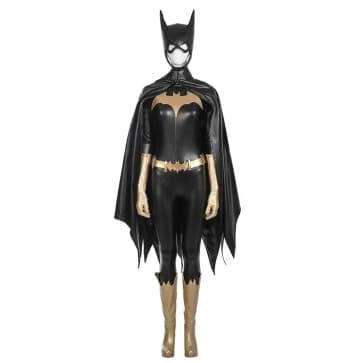 Batman Arkham Knight Batgirl Cosplay Costume.